It remains to be seen if this is the peak, but the global watch market did well in 2011. 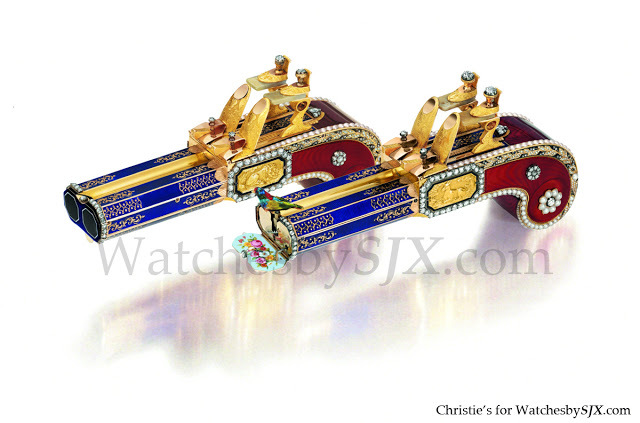 Christie’s watch auction sales totalled US$116.3 million in 2010, up 28% from 2010. This is the first time any auction house has exceed US$100 million (all figures include buyer’s premium). 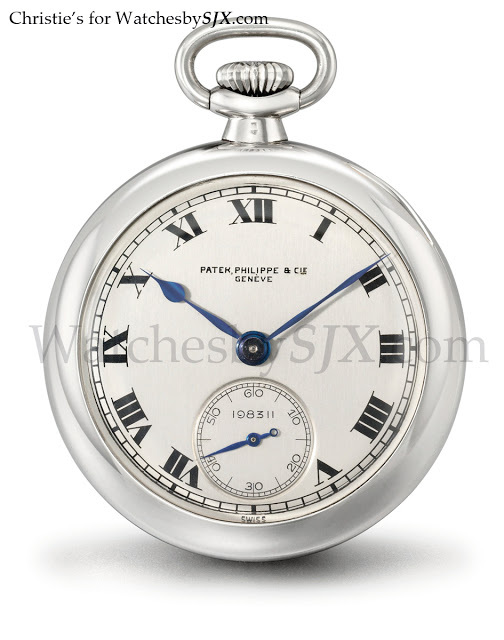 The ten most valuable lots were dominated by Patek Philippe naturally. Many of the usual suspects are on the lists, like the refs. 3448, 3449, 1518, 2499 and so on. Also on the list at US$1.27 million is a unique, platinum case tourbillon pocket watch made for uber-collector Henry Graves Jr. 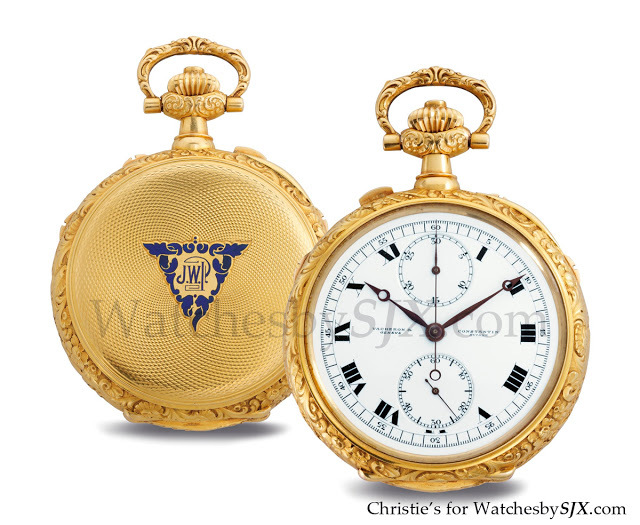 Notably Christie’s sold this very same tourbillon pocket watch for a mere US$706,908 in 2008. So it’s not surprising the most expensive wristwatch was a cushion-shaped, white gold Patek monopusher chronograph that hammered for US$3.64 million (shown at right). Of course auction results are only just that – the sale price. The identities of the bidders is rarely revealed publicly. But with all the watch companies filling up their museums with ostensible treasures, one wonders. However, the top lot was a pair of “singing bird pistols” attributed to Rochat brothers, circa 1820, which went for US$5.84 million. Interestingly the most valuable pocket watch sold in 2011 was a Vacheron Constantin grande et petite sonnerie pocket watch with chronograph that went for US$1.09 million.